Locals have several opportunities this weekend to reconnect and celebrate the off season. Aspen Valley Hospital began directly employing orthopedic surgeons one year ago, and the arm of the organization known as OrthoAspen is now hosting a popular lecture series. The 100 or so inmates jailed on both ends of the valley will enjoy holiday meals. The Colorado End of Life Options Act was signed into law by Gov. John Hickenlooper last week. Monday, the Aspen Valley Hospital board of directors will hold a special meeting to decide if they will opt in to the physician-assisted suicide program. In a closed executive session on Monday, the Aspen Valley Hospital board of directors solidified a contract bringing Dave Ressler back in as chief executive officer. The Ninth Judicial District Attorney’s Office is resurrecting a program for sexual assault victims in the valley. The SANE program, which stands for Sexual Assault Nurse Examiner, has been dormant for four years. Aspen Public Radio’s Carolyn Sackariason spoke with District Attorney Sherry Caloia about the effort. Vail Resorts bought Whistler this week for $1 billion. How that will affect attracting guests to Aspen/Snowmass is a question industry observers are asking. After three years away from his post, Dave Ressler, the former CEO of Aspen Valley Hospital, is taking his old job back, because like many who move to Aspen and then leave, he realizes that life is good here. Aspen Public Radio’s Carolyn Sackariason asked him what drove his decision to return. A supervisor can have a bigger impact on a worker’s health than a primary care doctor. That’s according to the The National Institute for Occupational Safety and Health. The federal office recently sent experts to Aspen to teach managers how to handle that power wisely. Four months after Aspen Valley Hospital CEO Dan Bonk resigned, the vacant position has been posted on an elite recruiting website. More than $36,000 in campaign spending was racked up in the Roaring Fork Valley this spring. That was for elections in Basalt, Carbondale and for Aspen Valley Hospital. As of May 1st, 1,678 ballots have been cast in the Aspen Valley Hospital Board of Director election. That’s only 14 percent of eligible voters. Roughly 10 percent of the total ballots mailed to Pitkin County voters have been returned so far in this spring’s Aspen Valley Hospital board election. 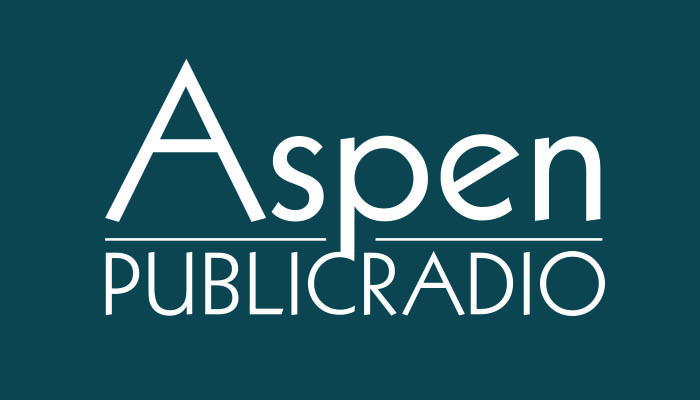 Aspen Public Radio News interviewed the doctors who are running for a board seat. In what capacity have you used AVH? How would you rate your experience and why? I am a frequent consumer of healthcare because of my juvenile diabetes so I'm a patient as well as an employee. My patient visits at the hospital have always been tremendous. The staff are second to none. What we lack is a modern facility with privacy for patients and that is now being built. In what capacity have you used AVH? How would you rate your experience and why? For the past 17 years, my family’s experiences with the Aspen Valley Hospital have been exceptional. My concern is for those whose experiences have not been as good as ours. Election results for the next Aspen Valley Hospital board of directors will be decided one week from today. With seven people vying for two open seats, their campaign issues surrounding the publicly-funded facility are many. In what capacity have you used AVH? How would you rate your experience and why? I use AVH for any of my medical needs and believe the care and service are unmatched. In what capacity have you used AVH? How would you rate your experience and why? I have used AVH in a number of different ways and have had only good experiences. I believe that the staff is professional and the facility is first rate. To read the full list of questions and answers, click here. In what capacity have you used AVH? How would you rate your experience and why? I have been a practicing physician at AVH for the last 17 years. I have even been a patient in the emergency department a few times. It is interesting how being on the other side of the curtain brings insight to how the hospital can improve care. I must say, it has been a wonderful experience and privilege to work with such incredible people at the hospital. To read the full list of questions and answers, and hear the audio portion, click here.